Take your RV and have some fun. RV travel is, after all, for fun. Here you will find useful information about RVs along with a healthy dose of fun. You will also see links to sites that might not be as much fun, but just possibly could have the information you seek. 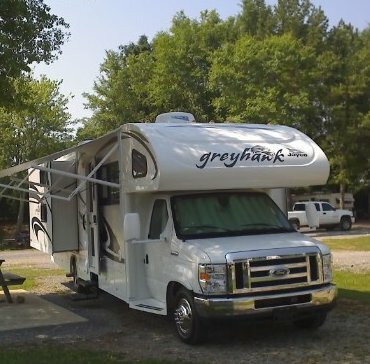 We took our first RV through all 48 states in the continental U.S. and toured a great deal of Canada. In doing so we managed to take a couple of pictures and I'll share a few of them with you. 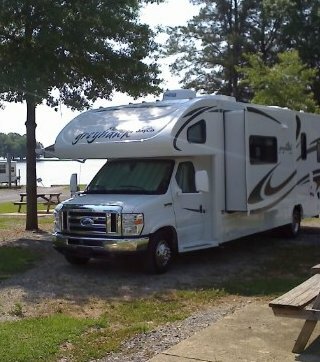 I have written a number of columns about RVing and my first small RV in particular. You can always learn something from my mistakes. And of course I will be rating RV Parks along with State and Federal Parks as we visit them. I will also rate places we park for free such as Wal-Marts. Remember, if you are not having fun in your RV, do something else. RV articles include information on using SOLAR PANELS, QUALITY FAUCETS and INEXPENSIVE REPAIRS and DRIVING TIPS FOR NEWBIES. Check them out. Lessons From A Tow Dolly Newbie An article by Jack Kean. Have fun at It's A Kean World. Have a dog? Dog Supplies and Training is for you. Jack blogs at: Its A Kean World, okay so there is a theme. Also blogs at RV Facts. Free directory listings at freewebsitelistings.com! $2.99 Read on your computer or Kindle. Short, to the point, and important information. One of the things you can do while enjoying your RV is write. I wrote Murder In Boone while taking a month long vacation in my RV. 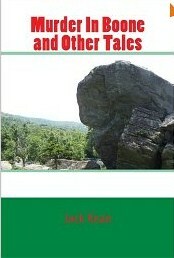 Click the link above and you can get it on Kindle or in hard copy. Hope you enjoy. The all new THIRD Edition of the "RV Buyers Survival Guide". Edition 1 sold out over 10,000 copies in just 18 months and helped thousands of RVers save big on inflated asking prices. The two or so hours of reading will enlighten you to the ins and outs of the RV Buying process. For some really great RV E Books like the one described above Click Here!